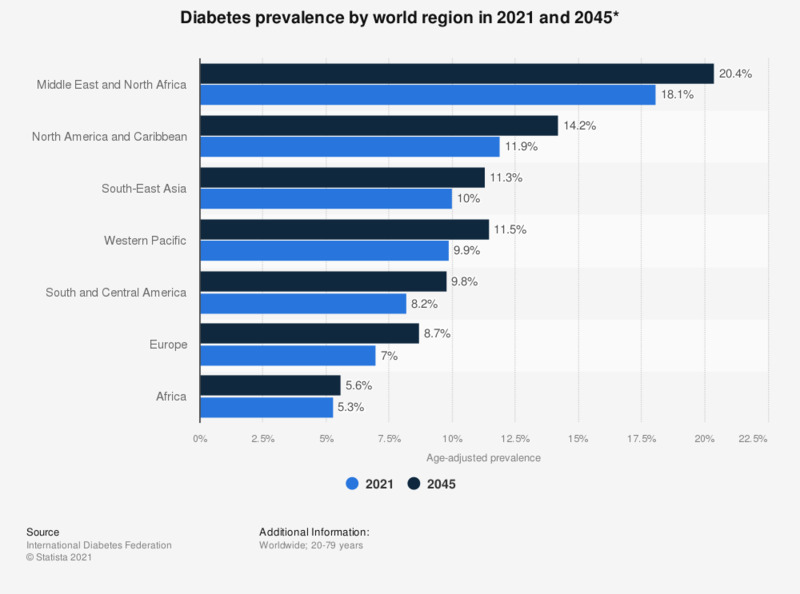 This statistic shows the world regions' age adjusted diabetes prevalence among adults (20-79 years) in 2017 and a 2045 forecast. In 2017, North America and the Caribbean had a 11 percent diabetes prevalence. * All figures are age-adjusted estimates/forecasts.